When someone is talking about a daisy, what specifically do they mean? Usually, they just mean a small white round flower with a round yellow or blue center. 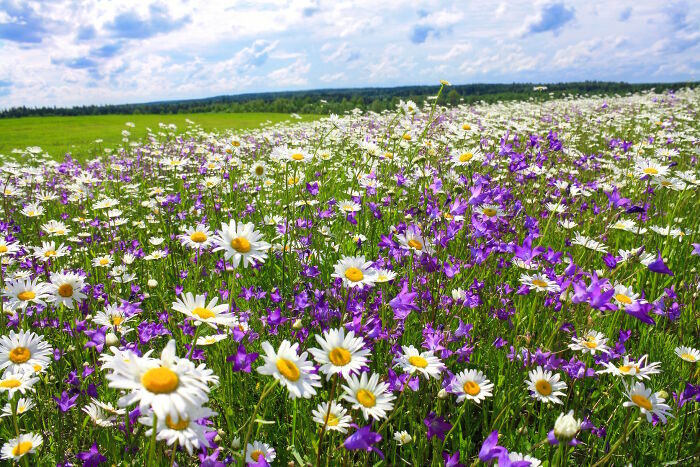 When botanists refer to daisies, they mean an entire group of plant species in the plant family called Asteraceae, which also includes aster flowers, ragweed and sunflowers. Daisies can be found in many parts of the world, including North America, Europe and Africa. What Does the Daisy Flower Mean? The modern English word daisy comes from an Old English word that’s impossible to spell and next to impossible to pronounce. 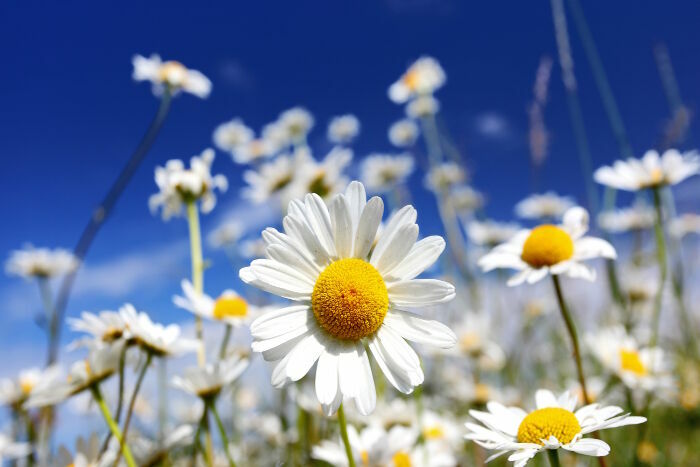 The important thing is that the Old English word meant “day’s eye” because daisy flowers only opened during the daytime. In modern Paganism, daisies symbolize the sun just because they seem to appear like stars or suns. Michaelmas daisy (Aster amellus) symbolizes a farewell or a departure. 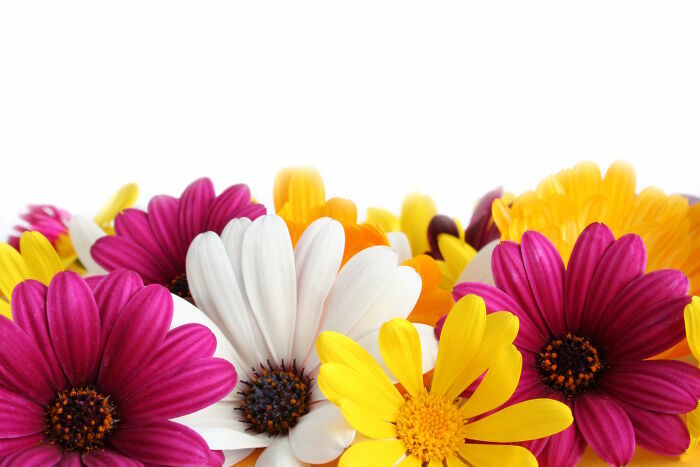 Gerber daises (those in the Gerbera genera) symbolize cheerfulness. They were often paired with ferns, which symbolize sincerity. English daisy (Bellis perennis) symbolizes innocence. They were often paired with primroses, which is a symbol for childhood and/or moss, which symbolized mother love. A single daisy flower is actually made up of two separate flowers. 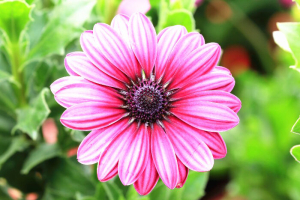 The center petals are one flower surrounded by the “rays” of another flower. Daisies grow all year round. 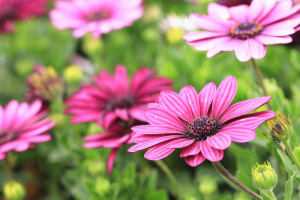 Daisies are naturally resistant to many plant diseases and pests, which makes them perfect flowers for new gardeners. 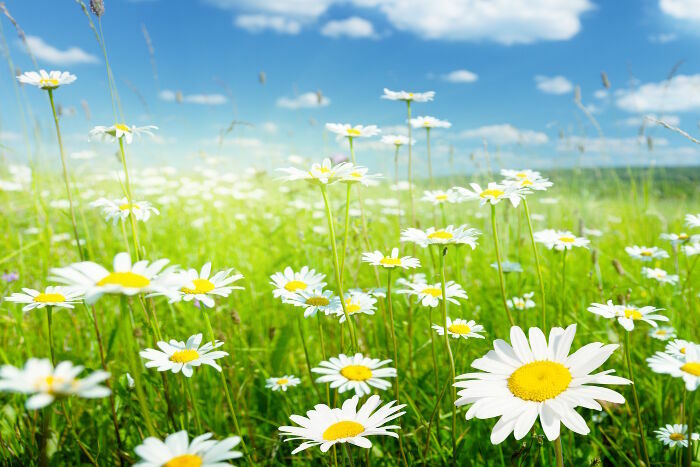 Unfortunately, the English daisy (Bellis perennis) is considered a stubborn weed in North American lawns. 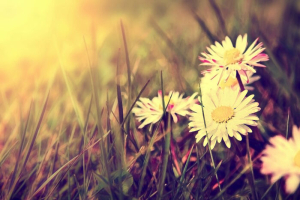 For centuries, children and really bored child minders have used daisies in order to make daisy chains. Daisy leaves are edible. Some people add them to their salads. 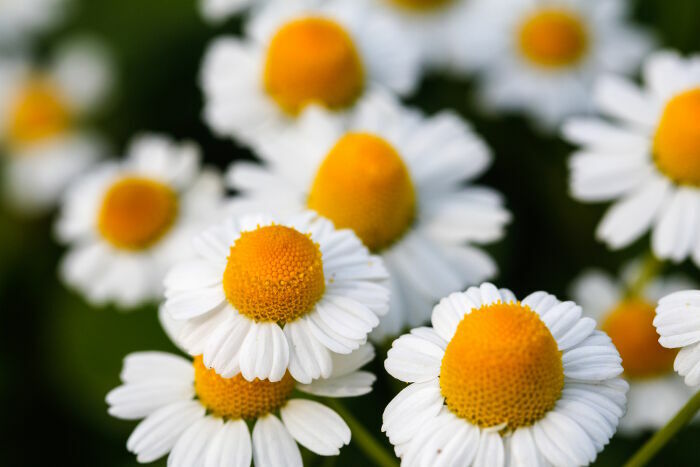 Wild daisy tea is said to be good for ailments of the throat, for putting on open wounds and as a “blood purifier” (whatever that means) but there aren’t any clinical studies to back up these traditional claims. People who are allergic to ragweed are very likely to also be allergic to daisies or any products made from daisies. The daisy’s message is, ultimately, one of hope and renewal. 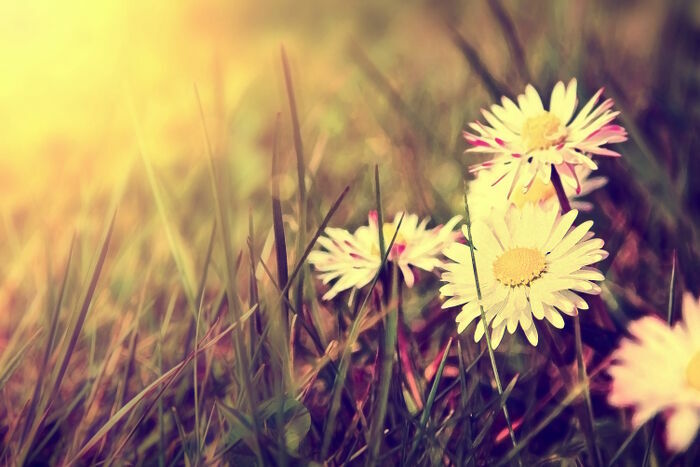 In sending daisies, the sender hopes the viewer will see the world as they once did as a child. 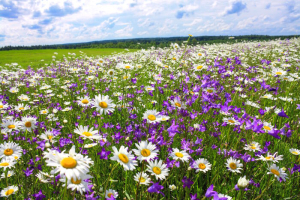 Just be sure not to send daisies to anyone with ragweed allergies. Not correct that a daisy is two flowers. The typical daisy is made up of many flowers of two types – tiny disc florets in the centre surrounded by a ring of ray florets which look like the petals. There may be dozens or even hundreds of flowers in each head. I’ve never seen a daisy consisting of only two flowers – that would look really weird.